Click the "Add to Calendar" button to add the Cavs schedule to your mobile calendar and get pregame tune in reminders! Game between the Cleveland Cavaliers and the Washington Wizards played on Fri July 6th 2018. The Cavaliers beat the Wizards 72 to 59. Ante Zizic led the scoring with 16 points, Ante Zizic led in assists with 5 assists, and Ante Zizic led by grabbing 14 rebounds. Game between the Chicago Bulls and the Cleveland Cavaliers played on Sat July 7th 2018. The Bulls beat the Cavaliers 86 to 81. Ante Zizic led the scoring with 25 points, Scoochie Smith led in assists with 4 assists, and Ante Zizic led by grabbing 11 rebounds. Game between the Indiana Pacers and the Cleveland Cavaliers played on Mon July 9th 2018. The Cavaliers beat the Pacers 93 to 88. 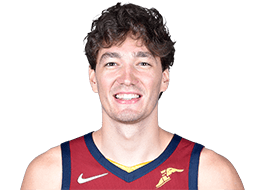 Cedi Osman led the scoring with 25 points, Cedi Osman led in assists with 6 assists, and Cedi Osman led by grabbing 6 rebounds. Game between the Sacramento Kings and the Cleveland Cavaliers played on Wed July 11th 2018. The Cavaliers beat the Kings 96 to 84. Collin Sexton led the scoring with 25 points, Collin Sexton led in assists with 7 assists, and Jamel Artis led by grabbing 7 rebounds. Game between the Cleveland Cavaliers and the Houston Rockets played on Sat July 14th 2018. The Cavaliers beat the Rockets 92 to 87. Collin Sexton led the scoring with 17 points, Collin Sexton led in assists with 3 assists, and Jamel Artis led by grabbing 9 rebounds. Game between the Toronto Raptors and the Cleveland Cavaliers played on Sun July 15th 2018. The Cavaliers beat the Raptors 82 to 68. John Holland led the scoring with 23 points, Collin Sexton led in assists with 6 assists, and Okaro White led by grabbing 10 rebounds. Game between the Cleveland Cavaliers and the Los Angeles Lakers played on Mon July 16th 2018. The Lakers beat the Cavaliers 112 to 109. Collin Sexton led the scoring with 27 points, Scoochie Smith led in assists with 5 assists, and Okaro White led by grabbing 9 rebounds. Game between the Cleveland Cavaliers and the Boston Celtics played on Tue October 2nd 2018. The Cavaliers beat the Celtics 102 to 95. Kevin Love led the scoring with 17 points, Cedi Osman led in assists with 4 assists, and Cedi Osman led by grabbing 7 rebounds. Game between the Boston Celtics and the Cleveland Cavaliers played on Sat October 6th 2018. The Cavaliers beat the Celtics 113 to 102. Ante Zizic led the scoring with 20 points, Cedi Osman led in assists with 4 assists, and Cedi Osman led by grabbing 6 rebounds. Game between the Indiana Pacers and the Cleveland Cavaliers played on Mon October 8th 2018. The Pacers beat the Cavaliers 111 to 102. 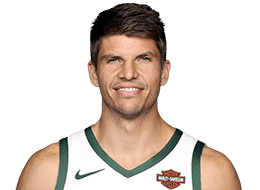 Kyle Korver led the scoring with 17 points, George Hill led in assists with 5 assists, and Larry Nance Jr. led by grabbing 7 rebounds. Game between the Detroit Pistons and the Cleveland Cavaliers played on Fri October 12th 2018. The Pistons beat the Cavaliers 129 to 110. 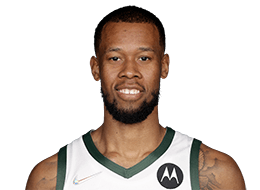 Rodney Hood led the scoring with 21 points, Collin Sexton led in assists with 5 assists, and Tristan Thompson led by grabbing 9 rebounds. Game between the Cleveland Cavaliers and the Toronto Raptors played on Wed October 17th 2018. The Raptors beat the Cavaliers 116 to 104. Kevin Love led the scoring with 21 points, George Hill led in assists with 7 assists, and Tristan Thompson led by grabbing 13 rebounds. Game between the Cleveland Cavaliers and the Minnesota Timberwolves played on Fri October 19th 2018. The Timberwolves beat the Cavaliers 131 to 123. Kevin Love led the scoring with 25 points, Cedi Osman led in assists with 8 assists, and Kevin Love led by grabbing 19 rebounds. Game between the Atlanta Hawks and the Cleveland Cavaliers played on Sun October 21st 2018. The Hawks beat the Cavaliers 133 to 111. Jordan Clarkson led the scoring with 19 points, Cedi Osman led in assists with 4 assists, and Kevin Love led by grabbing 17 rebounds. Game between the Brooklyn Nets and the Cleveland Cavaliers played on Wed October 24th 2018. The Nets beat the Cavaliers 102 to 86. Kevin Love led the scoring with 14 points, Tristan Thompson led in assists with 4 assists, and Kevin Love led by grabbing 11 rebounds. Game between the Cleveland Cavaliers and the Detroit Pistons played on Thu October 25th 2018. The Pistons beat the Cavaliers 110 to 103. Kyle Korver led the scoring with 21 points, Larry Nance Jr. led in assists with 5 assists, and Cedi Osman led by grabbing 6 rebounds. Game between the Indiana Pacers and the Cleveland Cavaliers played on Sat October 27th 2018. The Pacers beat the Cavaliers 119 to 107. Rodney Hood led the scoring with 17 points, Collin Sexton led in assists with 4 assists, and Larry Nance Jr. led by grabbing 12 rebounds. Game between the Atlanta Hawks and the Cleveland Cavaliers played on Tue October 30th 2018. The Cavaliers beat the Hawks 136 to 114. 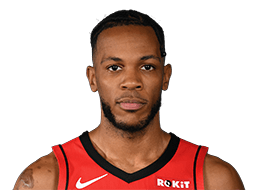 Rodney Hood led the scoring with 26 points, Sam Dekker led in assists with 4 assists, and Tristan Thompson led by grabbing 13 rebounds. Game between the Denver Nuggets and the Cleveland Cavaliers played on Thu November 1st 2018. The Nuggets beat the Cavaliers 110 to 91. Jordan Clarkson led the scoring with 17 points, Tristan Thompson led in assists with 4 assists, and Tristan Thompson led by grabbing 7 rebounds. Game between the Cleveland Cavaliers and the Charlotte Hornets played on Sat November 3rd 2018. The Hornets beat the Cavaliers 126 to 94. JR Smith led the scoring with 14 points, George Hill led in assists with 4 assists, and Tristan Thompson led by grabbing 7 rebounds. Game between the Cleveland Cavaliers and the Orlando Magic played on Mon November 5th 2018. The Magic beat the Cavaliers 102 to 100. 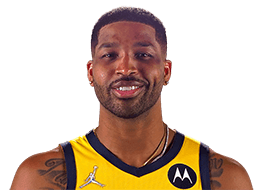 George Hill led the scoring with 22 points, George Hill led in assists with 6 assists, and Tristan Thompson led by grabbing 16 rebounds. Game between the Oklahoma City Thunder and the Cleveland Cavaliers played on Wed November 7th 2018. The Thunder beat the Cavaliers 95 to 86. Collin Sexton led the scoring with 15 points, Jordan Clarkson led in assists with 8 assists, and Tristan Thompson led by grabbing 15 rebounds. Game between the Cleveland Cavaliers and the Chicago Bulls played on Sat November 10th 2018. The Bulls beat the Cavaliers 99 to 98. Tristan Thompson led the scoring with 22 points, Jordan Clarkson led in assists with 4 assists, and Larry Nance Jr. led by grabbing 14 rebounds. Game between the Charlotte Hornets and the Cleveland Cavaliers played on Tue November 13th 2018. The Cavaliers beat the Hornets 113 to 89. Jordan Clarkson led the scoring with 24 points, JR Smith led in assists with 5 assists, and Tristan Thompson led by grabbing 21 rebounds. Game between the Cleveland Cavaliers and the Washington Wizards played on Wed November 14th 2018. The Wizards beat the Cavaliers 119 to 95. Collin Sexton led the scoring with 24 points, Larry Nance Jr. led in assists with 5 assists, and Tristan Thompson led by grabbing 8 rebounds. 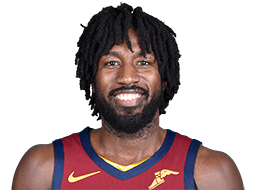 Game between the Cleveland Cavaliers and the Detroit Pistons played on Mon November 19th 2018. The Pistons beat the Cavaliers 113 to 102. Collin Sexton led the scoring with 18 points, Collin Sexton led in assists with 4 assists, and Tristan Thompson led by grabbing 7 rebounds. 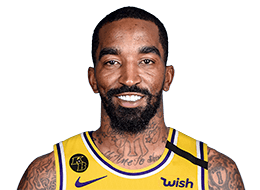 Game between the Los Angeles Lakers and the Cleveland Cavaliers played on Wed November 21st 2018. The Lakers beat the Cavaliers 109 to 105. Cedi Osman led the scoring with 21 points, Jordan Clarkson led in assists with 5 assists, and Tristan Thompson led by grabbing 15 rebounds. Game between the Cleveland Cavaliers and the Philadelphia 76ers played on Fri November 23rd 2018. The Cavaliers beat the 76ers 121 to 112. 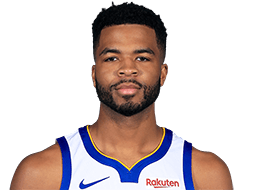 Rodney Hood led the scoring with 25 points, Andrew Harrison led in assists with 5 assists, and Tristan Thompson led by grabbing 13 rebounds. Game between the Houston Rockets and the Cleveland Cavaliers played on Sat November 24th 2018. The Cavaliers beat the Rockets 117 to 108. Collin Sexton led the scoring with 29 points, Jordan Clarkson led in assists with 4 assists, and Tristan Thompson led by grabbing 20 rebounds. Game between the Minnesota Timberwolves and the Cleveland Cavaliers played on Mon November 26th 2018. The Timberwolves beat the Cavaliers 102 to 95. Kyle Korver led the scoring with 22 points, Larry Nance Jr. led in assists with 7 assists, and Tristan Thompson led by grabbing 11 rebounds. Game between the Cleveland Cavaliers and the Oklahoma City Thunder played on Wed November 28th 2018. The Thunder beat the Cavaliers 100 to 83. Jordan Clarkson led the scoring with 25 points, Cedi Osman led in assists with 6 assists, and Cedi Osman led by grabbing 10 rebounds. Game between the Cleveland Cavaliers and the Boston Celtics played on Fri November 30th 2018. The Celtics beat the Cavaliers 128 to 95. Jordan Clarkson led the scoring with 16 points, Tristan Thompson led in assists with 4 assists, and Tristan Thompson led by grabbing 12 rebounds. Game between the Toronto Raptors and the Cleveland Cavaliers played on Sat December 1st 2018. The Raptors beat the Cavaliers 106 to 95. Tristan Thompson led the scoring with 18 points, Cedi Osman led in assists with 3 assists, and Tristan Thompson led by grabbing 19 rebounds. Game between the Cleveland Cavaliers and the Brooklyn Nets played on Mon December 3rd 2018. The Cavaliers beat the Nets 99 to 97. Jordan Clarkson led the scoring with 20 points, Jordan Clarkson led in assists with 4 assists, and Tristan Thompson led by grabbing 14 rebounds. Game between the Golden State Warriors and the Cleveland Cavaliers played on Wed December 5th 2018. The Warriors beat the Cavaliers 129 to 105. Collin Sexton led the scoring with 21 points, Tristan Thompson led in assists with 3 assists, and Tristan Thompson led by grabbing 19 rebounds. 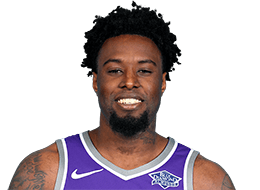 Game between the Sacramento Kings and the Cleveland Cavaliers played on Fri December 7th 2018. The Kings beat the Cavaliers 129 to 110. Jordan Clarkson led the scoring with 26 points, Alec Burks led in assists with 9 assists, and Larry Nance Jr. led by grabbing 7 rebounds. Game between the Washington Wizards and the Cleveland Cavaliers played on Sat December 8th 2018. The Cavaliers beat the Wizards 116 to 101. Collin Sexton led the scoring with 29 points, Larry Nance Jr. led in assists with 7 assists, and Tristan Thompson led by grabbing 19 rebounds. Game between the Cleveland Cavaliers and the Milwaukee Bucks played on Mon December 10th 2018. The Bucks beat the Cavaliers 108 to 92. Larry Nance Jr. led the scoring with 16 points, Cedi Osman led in assists with 6 assists, and Jaron Blossomgame led by grabbing 10 rebounds. 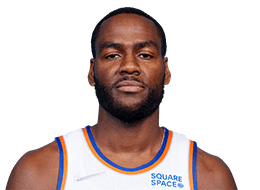 Game between the New York Knicks and the Cleveland Cavaliers played on Wed December 12th 2018. The Cavaliers beat the Knicks 113 to 106. Jordan Clarkson led the scoring with 28 points, Larry Nance Jr. led in assists with 7 assists, and Larry Nance Jr. led by grabbing 11 rebounds. 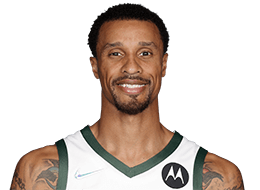 Game between the Milwaukee Bucks and the Cleveland Cavaliers played on Fri December 14th 2018. The Bucks beat the Cavaliers 114 to 102. Jordan Clarkson led the scoring with 23 points, Larry Nance Jr. led in assists with 6 assists, and Larry Nance Jr. led by grabbing 10 rebounds. Game between the Philadelphia 76ers and the Cleveland Cavaliers played on Sun December 16th 2018. The 76ers beat the Cavaliers 128 to 105. Cedi Osman led the scoring with 18 points, Matthew Dellavedova led in assists with 7 assists, and Jordan Clarkson led by grabbing 6 rebounds. Game between the Cleveland Cavaliers and the Indiana Pacers played on Tue December 18th 2018. The Cavaliers beat the Pacers 92 to 91. Rodney Hood led the scoring with 17 points, Larry Nance Jr. led in assists with 6 assists, and Larry Nance Jr. led by grabbing 16 rebounds. Game between the Cleveland Cavaliers and the Charlotte Hornets played on Wed December 19th 2018. The Hornets beat the Cavaliers 110 to 99. Jordan Clarkson led the scoring with 20 points, Larry Nance Jr. led in assists with 7 assists, and Larry Nance Jr. led by grabbing 15 rebounds. Game between the Cleveland Cavaliers and the Toronto Raptors played on Fri December 21st 2018. The Raptors beat the Cavaliers 126 to 110. Jordan Clarkson led the scoring with 20 points, Matthew Dellavedova led in assists with 6 assists, and Larry Nance Jr. led by grabbing 12 rebounds. Game between the Chicago Bulls and the Cleveland Cavaliers played on Sun December 23rd 2018. The Bulls beat the Cavaliers 112 to 92. 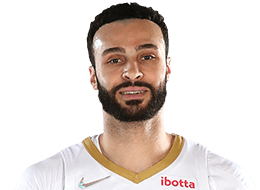 Larry Nance Jr. led the scoring with 20 points, Alec Burks led in assists with 3 assists, and Cedi Osman led by grabbing 7 rebounds. Game between the Cleveland Cavaliers and the Memphis Grizzlies played on Wed December 26th 2018. The Grizzlies beat the Cavaliers 95 to 87. Jordan Clarkson led the scoring with 24 points, Collin Sexton led in assists with 6 assists, and Ante Zizic led by grabbing 11 rebounds. Game between the Cleveland Cavaliers and the Miami Heat played on Fri December 28th 2018. The Heat beat the Cavaliers 118 to 94. Jordan Clarkson led the scoring with 18 points, Alec Burks led in assists with 5 assists, and Jaron Blossomgame led by grabbing 10 rebounds. Game between the Cleveland Cavaliers and the Atlanta Hawks played on Sat December 29th 2018. The Hawks beat the Cavaliers 111 to 108. Cedi Osman led the scoring with 22 points, Larry Nance Jr. led in assists with 7 assists, and Larry Nance Jr. led by grabbing 15 rebounds. Game between the Miami Heat and the Cleveland Cavaliers played on Wed January 2nd 2019. The Heat beat the Cavaliers 117 to 92. Tristan Thompson led the scoring with 14 points, Larry Nance Jr. led in assists with 6 assists, and Larry Nance Jr. led by grabbing 5 rebounds. Game between the Utah Jazz and the Cleveland Cavaliers played on Fri January 4th 2019. The Jazz beat the Cavaliers 117 to 91. Alec Burks led the scoring with 17 points, Collin Sexton led in assists with 3 assists, and Tristan Thompson led by grabbing 12 rebounds. Game between the New Orleans Pelicans and the Cleveland Cavaliers played on Sat January 5th 2019. The Pelicans beat the Cavaliers 133 to 98. Jordan Clarkson led the scoring with 23 points, Alec Burks led in assists with 6 assists, and Tristan Thompson led by grabbing 11 rebounds. Game between the Indiana Pacers and the Cleveland Cavaliers played on Tue January 8th 2019. The Pacers beat the Cavaliers 123 to 115. Jordan Clarkson led the scoring with 26 points, Tristan Thompson led in assists with 5 assists, and Tristan Thompson led by grabbing 13 rebounds. Game between the Cleveland Cavaliers and the New Orleans Pelicans played on Wed January 9th 2019. The Pelicans beat the Cavaliers 140 to 124. Jordan Clarkson led the scoring with 21 points, Matthew Dellavedova led in assists with 7 assists, and Tristan Thompson led by grabbing 10 rebounds. Game between the Cleveland Cavaliers and the Houston Rockets played on Fri January 11th 2019. The Rockets beat the Cavaliers 141 to 113. 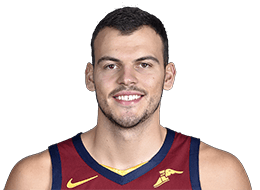 Ante Zizic led the scoring with 18 points, Collin Sexton led in assists with 5 assists, and Ante Zizic led by grabbing 8 rebounds. Game between the Cleveland Cavaliers and the Los Angeles Lakers played on Sun January 13th 2019. The Cavaliers beat the Lakers 101 to 95. Cedi Osman led the scoring with 20 points, Alec Burks led in assists with 4 assists, and Tristan Thompson led by grabbing 14 rebounds. Game between the Cleveland Cavaliers and the Portland Trail Blazers played on Wed January 16th 2019. The Trail Blazers beat the Cavaliers 129 to 112. Jordan Clarkson led the scoring with 22 points, Matthew Dellavedova led in assists with 6 assists, and Jaron Blossomgame led by grabbing 10 rebounds. Game between the Cleveland Cavaliers and the Utah Jazz played on Fri January 18th 2019. The Jazz beat the Cavaliers 115 to 99. Ante Zizic led the scoring with 15 points, Matthew Dellavedova led in assists with 3 assists, and Ante Zizic led by grabbing 10 rebounds. Game between the Cleveland Cavaliers and the Denver Nuggets played on Sat January 19th 2019. The Nuggets beat the Cavaliers 124 to 102. Ante Zizic led the scoring with 23 points, Collin Sexton led in assists with 7 assists, and Ante Zizic led by grabbing 6 rebounds. Game between the Chicago Bulls and the Cleveland Cavaliers played on Mon January 21st 2019. The Bulls beat the Cavaliers 104 to 88. Collin Sexton led the scoring with 18 points, Jordan Clarkson led in assists with 4 assists, and Ante Zizic led by grabbing 9 rebounds. Game between the Cleveland Cavaliers and the Boston Celtics played on Wed January 23rd 2019. The Celtics beat the Cavaliers 123 to 103. Cedi Osman led the scoring with 25 points, Alec Burks led in assists with 6 assists, and Alec Burks led by grabbing 9 rebounds. Game between the Miami Heat and the Cleveland Cavaliers played on Fri January 25th 2019. The Heat beat the Cavaliers 100 to 94. Cedi Osman led the scoring with 29 points, Matthew Dellavedova led in assists with 5 assists, and Ante Zizic led by grabbing 9 rebounds. Game between the Cleveland Cavaliers and the Chicago Bulls played on Sun January 27th 2019. The Cavaliers beat the Bulls 104 to 101. Alec Burks led the scoring with 18 points, Jordan Clarkson led in assists with 6 assists, and Ante Zizic led by grabbing 14 rebounds. Game between the Washington Wizards and the Cleveland Cavaliers played on Tue January 29th 2019. The Cavaliers beat the Wizards 116 to 113. Jordan Clarkson led the scoring with 28 points, Alec Burks led in assists with 9 assists, and Ante Zizic led by grabbing 12 rebounds. Game between the Dallas Mavericks and the Cleveland Cavaliers played on Sat February 2nd 2019. 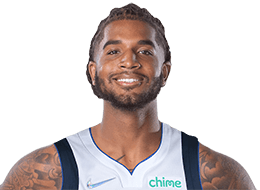 The Mavericks beat the Cavaliers 111 to 98. Jordan Clarkson led the scoring with 19 points, Alec Burks led in assists with 5 assists, and Larry Nance Jr. led by grabbing 12 rebounds. Game between the Boston Celtics and the Cleveland Cavaliers played on Tue February 5th 2019. The Celtics beat the Cavaliers 103 to 96. Collin Sexton led the scoring with 27 points, Matthew Dellavedova led in assists with 4 assists, and Ante Zizic led by grabbing 12 rebounds. Game between the Cleveland Cavaliers and the Washington Wizards played on Fri February 8th 2019. The Wizards beat the Cavaliers 119 to 106. Collin Sexton led the scoring with 27 points, Larry Nance Jr. led in assists with 6 assists, and Larry Nance Jr. led by grabbing 19 rebounds. Game between the Cleveland Cavaliers and the Indiana Pacers played on Sat February 9th 2019. The Pacers beat the Cavaliers 105 to 90. Jordan Clarkson led the scoring with 18 points, Jordan Clarkson led in assists with 6 assists, and Larry Nance Jr. led by grabbing 10 rebounds. Game between the New York Knicks and the Cleveland Cavaliers played on Mon February 11th 2019. The Cavaliers beat the Knicks 107 to 104. 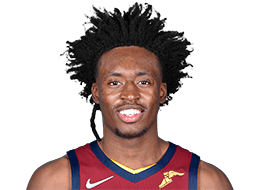 Collin Sexton led the scoring with 20 points, Matthew Dellavedova led in assists with 6 assists, and Larry Nance Jr. led by grabbing 16 rebounds. Game between the Brooklyn Nets and the Cleveland Cavaliers played on Wed February 13th 2019. The Nets beat the Cavaliers 148 to 139. Jordan Clarkson led the scoring with 42 points, Matthew Dellavedova led in assists with 13 assists, and Larry Nance Jr. led by grabbing 14 rebounds. Game between the Phoenix Suns and the Cleveland Cavaliers played on Thu February 21st 2019. The Cavaliers beat the Suns 111 to 98. Cedi Osman led the scoring with 19 points, Matthew Dellavedova led in assists with 11 assists, and Ante Zizic led by grabbing 12 rebounds. 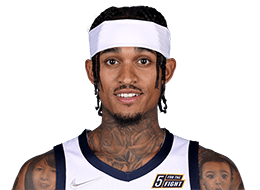 Game between the Memphis Grizzlies and the Cleveland Cavaliers played on Sat February 23rd 2019. The Cavaliers beat the Grizzlies 112 to 107. Kevin Love led the scoring with 32 points, Matthew Dellavedova led in assists with 6 assists, and Kevin Love led by grabbing 12 rebounds. Game between the Portland Trail Blazers and the Cleveland Cavaliers played on Mon February 25th 2019. The Trail Blazers beat the Cavaliers 123 to 110. 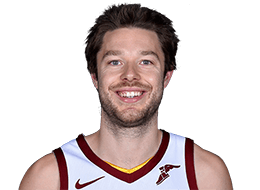 Cedi Osman led the scoring with 27 points, Matthew Dellavedova led in assists with 5 assists, and Kevin Love led by grabbing 12 rebounds. Game between the Cleveland Cavaliers and the New York Knicks played on Thu February 28th 2019. The Cavaliers beat the Knicks 125 to 118. Kevin Love led the scoring with 26 points, Cedi Osman led in assists with 5 assists, and Kevin Love led by grabbing 8 rebounds. Game between the Detroit Pistons and the Cleveland Cavaliers played on Sat March 2nd 2019. The Pistons beat the Cavaliers 129 to 93. Collin Sexton led the scoring with 16 points, Larry Nance Jr. led in assists with 3 assists, and Larry Nance Jr. led by grabbing 5 rebounds. Game between the Orlando Magic and the Cleveland Cavaliers played on Sun March 3rd 2019. The Cavaliers beat the Magic 107 to 93. Jordan Clarkson led the scoring with 18 points, Larry Nance Jr. led in assists with 4 assists, and Kevin Love led by grabbing 14 rebounds. Game between the Cleveland Cavaliers and the Brooklyn Nets played on Wed March 6th 2019. The Nets beat the Cavaliers 113 to 107. 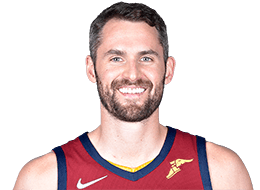 Kevin Love led the scoring with 24 points, Collin Sexton led in assists with 5 assists, and Kevin Love led by grabbing 16 rebounds. Game between the Cleveland Cavaliers and the Miami Heat played on Fri March 8th 2019. The Heat beat the Cavaliers 126 to 110. Collin Sexton led the scoring with 27 points, Cedi Osman led in assists with 6 assists, and Ante Zizic led by grabbing 6 rebounds. Game between the Toronto Raptors and the Cleveland Cavaliers played on Mon March 11th 2019. The Cavaliers beat the Raptors 126 to 101. Collin Sexton led the scoring with 28 points, Cedi Osman led in assists with 7 assists, and Kevin Love led by grabbing 18 rebounds. Game between the Cleveland Cavaliers and the Philadelphia 76ers played on Tue March 12th 2019. The 76ers beat the Cavaliers 106 to 99. Collin Sexton led the scoring with 26 points, Cedi Osman led in assists with 4 assists, and Cedi Osman led by grabbing 8 rebounds. Game between the Cleveland Cavaliers and the Orlando Magic played on Thu March 14th 2019. The Magic beat the Cavaliers 120 to 91. Collin Sexton led the scoring with 23 points, Cedi Osman led in assists with 4 assists, and Cedi Osman led by grabbing 8 rebounds. Game between the Cleveland Cavaliers and the Dallas Mavericks played on Sat March 16th 2019. The Mavericks beat the Cavaliers 121 to 116. Collin Sexton led the scoring with 28 points, Cedi Osman led in assists with 4 assists, and Kevin Love led by grabbing 12 rebounds. Game between the Detroit Pistons and the Cleveland Cavaliers played on Mon March 18th 2019. The Cavaliers beat the Pistons 126 to 119. Collin Sexton led the scoring with 27 points, Cedi Osman led in assists with 6 assists, and Marquese Chriss led by grabbing 10 rebounds. Game between the Milwaukee Bucks and the Cleveland Cavaliers played on Wed March 20th 2019. The Cavaliers beat the Bucks 107 to 102. Collin Sexton led the scoring with 25 points, Larry Nance Jr. led in assists with 5 assists, and Kevin Love led by grabbing 10 rebounds. Game between the LA Clippers and the Cleveland Cavaliers played on Fri March 22nd 2019. The Clippers beat the Cavaliers 110 to 108. Kevin Love led the scoring with 22 points, Cedi Osman led in assists with 3 assists, and Larry Nance Jr. led by grabbing 9 rebounds. Game between the Cleveland Cavaliers and the Milwaukee Bucks played on Sun March 24th 2019. The Bucks beat the Cavaliers 127 to 105. Kevin Love led the scoring with 20 points, Larry Nance Jr. led in assists with 6 assists, and Kevin Love led by grabbing 19 rebounds. Game between the Boston Celtics and the Cleveland Cavaliers played on Tue March 26th 2019. The Celtics beat the Cavaliers 116 to 106. 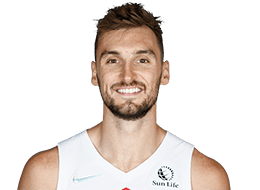 Collin Sexton led the scoring with 24 points, Larry Nance Jr. led in assists with 7 assists, and Kevin Love led by grabbing 11 rebounds. Game between the Cleveland Cavaliers and the San Antonio Spurs played on Thu March 28th 2019. The Spurs beat the Cavaliers 116 to 110. Collin Sexton led the scoring with 24 points, Larry Nance Jr. led in assists with 4 assists, and Larry Nance Jr. led by grabbing 11 rebounds. Game between the Cleveland Cavaliers and the LA Clippers played on Sat March 30th 2019. The Clippers beat the Cavaliers 132 to 108. Jordan Clarkson led the scoring with 26 points, Cedi Osman led in assists with 3 assists, and Tristan Thompson led by grabbing 10 rebounds. Game between the Cleveland Cavaliers and the Phoenix Suns played on Mon April 1st 2019. The Suns beat the Cavaliers 122 to 113. Collin Sexton led the scoring with 21 points, Larry Nance Jr. led in assists with 4 assists, and Larry Nance Jr. led by grabbing 12 rebounds. Game between the Cleveland Cavaliers and the Sacramento Kings played on Thu April 4th 2019. The Kings beat the Cavaliers 117 to 104. Jordan Clarkson led the scoring with 22 points, Ante Zizic led in assists with 4 assists, and Larry Nance Jr. led by grabbing 16 rebounds. Game between the Cleveland Cavaliers and the Golden State Warriors played on Fri April 5th 2019. The Warriors beat the Cavaliers 120 to 114. Collin Sexton led the scoring with 27 points, Collin Sexton led in assists with 4 assists, and Larry Nance Jr. led by grabbing 14 rebounds. Game between the San Antonio Spurs and the Cleveland Cavaliers played on Sun April 7th 2019. 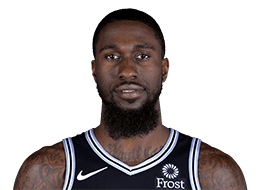 The Spurs beat the Cavaliers 112 to 90. 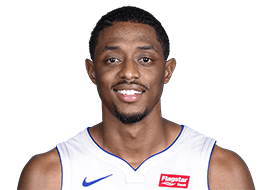 Brandon Knight led the scoring with 16 points, Larry Nance Jr. led in assists with 5 assists, and Larry Nance Jr. led by grabbing 11 rebounds. Game between the Charlotte Hornets and the Cleveland Cavaliers played on Tue April 9th 2019. The Hornets beat the Cavaliers 124 to 97. Collin Sexton led the scoring with 18 points, Collin Sexton led in assists with 10 assists, and Larry Nance Jr. led by grabbing 12 rebounds.